With Chili Piper's Multiple Meeting Types, you're able to give your prospects and customers options on what type of meetings they can schedule when booking a meeting with you. 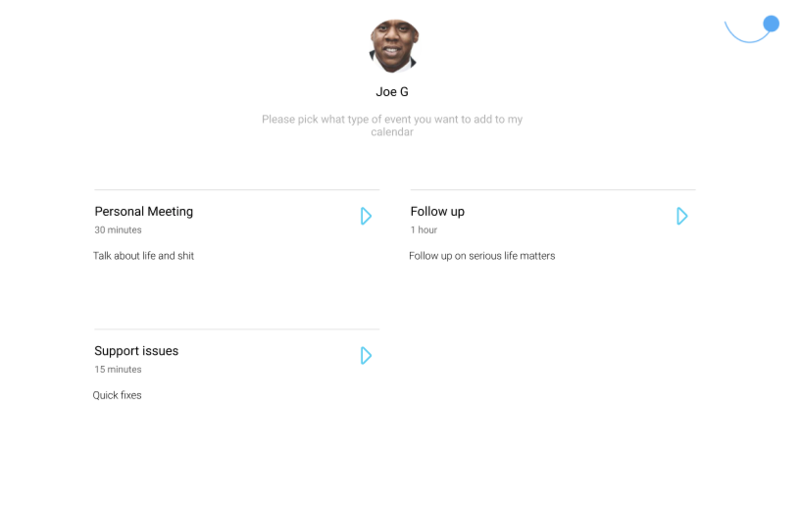 To configure your Multiple Meeting Types, head over to My Meeting Templates in your personal settings in Chili Piper. At the bottom of the page, you'll see a toggle option to "Allow multiple meeting types on booking link" - Turning this on will enable the Multiple Meeting Type functionality. Give your prospect or customer a friendly message when they arrive to your page. Turn On which Meeting Types you want displayed as options. You can also re-arrange the order. When Multiple Meeting Types is enabled, each Meeting Type you make Visible will have a description. This customization is available for each Meeting Template and will appear when your prospect is initially choosing a Meeting Type. Customization can be done under the "Meeting Type Description" dropdown in each individual Meeting Template.